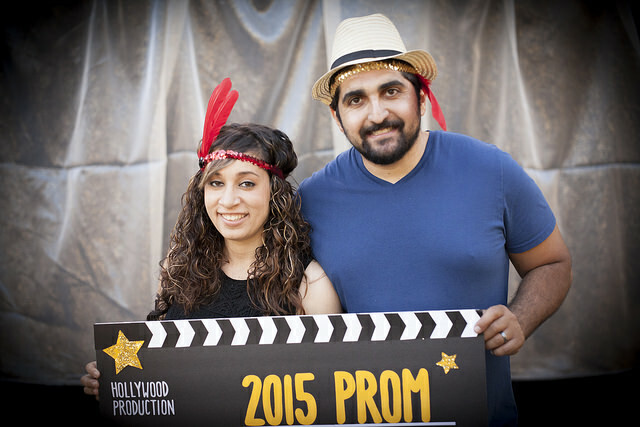 Last week we wrapped up our club gatherings for the school year with our annual YoungLives Prom! And what a night!! 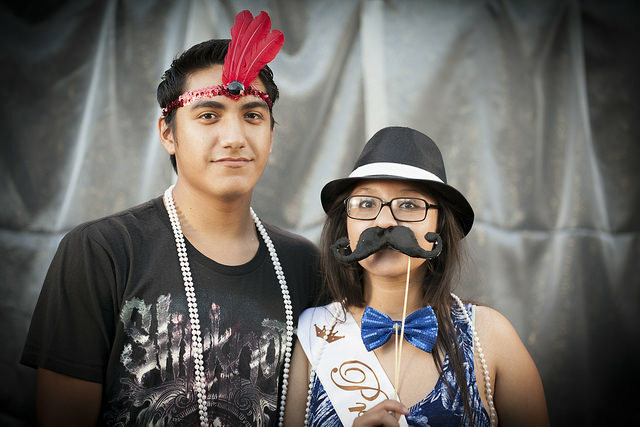 We enjoyed a photo booth with silly props, ate a delicious dinner made with love, heard encouraging words from Myrna and Tamara, crowned the Prom Kings and Queens and danced the night away! Thank you to all of the wonderful volunteers who made this night possible. It was such a joy to watch everyone celebrating together. As you hopefully saw in last week’s post, we had a LOT of graduates to celebrate this year! Each of the graduating girls received a tiara, a “Prom Queen” sash and a certificate of recognition. Each of the graduating guys received a crown, a “Prom King” sash and a certificate of recognition. 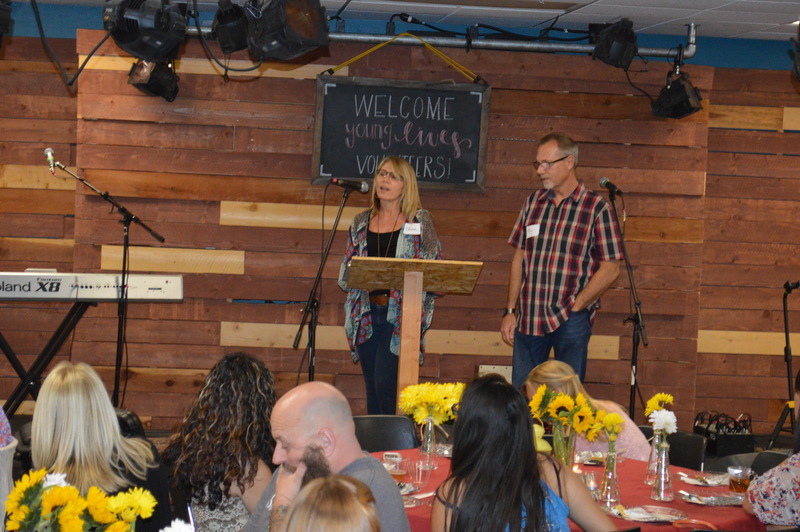 As each of the graduates quickly shared, they were full of thankfulness for YoungLives and our amazing volunteers who have walked with them, encouraged them and believed in them. It was a joy and an honor to celebrate alongside them. Myrna shared from Luke 15 about The Prodigal Son – how one son asked to receive his inheritance early and then left the family. After squandering his money and losing everything, he shamefully made his way back home. But to his great surprise, instead of his father punishing him, as he walked up the road to his home, his father ran to him and lovingly welcomed him home with open arms. What a beautiful picture this is for us of Christ’s love for us. It doesn’t matter what we’ve done, God loves us unconditionally and welcomes us with His arms open wide! What a freeing and grace filled message to bless our graduates with! The night wrapped up with a dessert bar where we made our own donut holes and the dancing began! Mentors, volunteers, girls and guys dancing, laughing, celebrating. I’m sure the laughter and joy could be heard down the street. And I’m sure it was exactly the kind of celebration that brought joy to our Father’s heart! P.S. If you want to see more the pictures from the night, click HERE. Graduating from high school is a huge accomplishment! Many people don’t realize that it is an even bigger accomplishment for the teen moms and dads that we get to walk with in YoungLives. With a 50% dropout rate for teen moms in our county and seemingly many odds against them, year after year we celebrate the moms and dads that push through to the finish line! 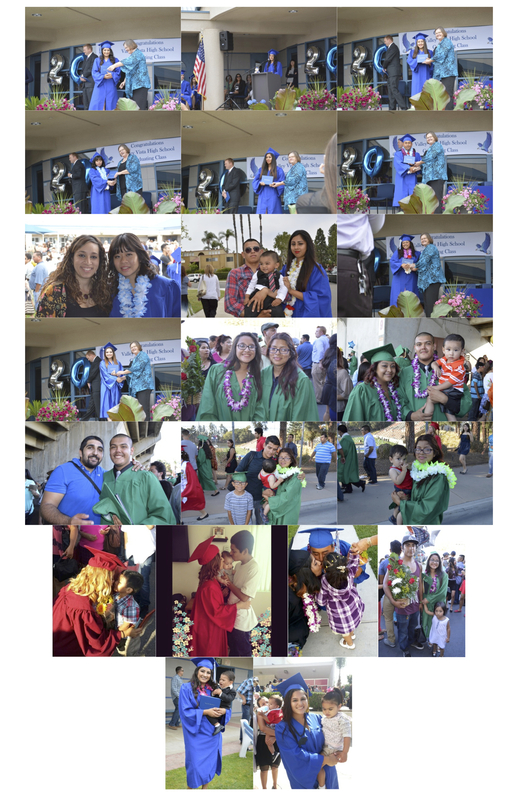 This year we celebrate with 17 teen moms and 3 teen dads that received their High School Diploma! Juggling childcare, a part or full-time job, and parenting a little life makes attending high school and passing classes all the more challenging. But these young men and women didn’t let those challenges get in their way! We are encouraged and inspired by their perseverance and we look forward to seeing all that God has in store for these individuals. I have had the opportunity to witness many of their stories firsthand and have no doubt that these young men and women are stepping into a wonderful future. This is only the beginning of what they will accomplish for themselves and for their little ones. Yousef and some teen dads at church! I am amazed to see how God has worked in YoungLives North OC over the last 3 years. One particular thing that has completely taken me by surprise is seeing teen dads start regularly attending YoungLives alongside the teen moms. We didn’t expect this when we started a ministry for “teen moms” but we quickly realized that it was an open door from God, telling us to enter what was before us and mentor these teen dads. Over the last 3 years, we have seen many teen dads become men, with jobs and responsibilities, and fathers, desiring to provide for their families. One story that stands out to me is about the boyfriend of a young girl that my wife mentors. After getting to know the girl and her baby, we asked about the baby’s father and found out that he was in juvenile hall. When we asked why he was there, she told us it was for gang related issues. Over the next 2 years, the boyfriend was in and out of juvenile hall several times and even missed his baby’s first two birthdays. But he stayed in touch with his daughter’s mom and heard about her involvement with YoungLives and that she and their baby had been attending church on Sundays. After the last time he was in jail, my wife and I had the opportunity to meet this teen dad (at the time he was 17 years old) and we invited him to come to church with us. At church, he saw his daughter run up to people she knew, hugging them. Seeing that so many people knew his daughter by name touched him deeply. And now, for more than a year, he has attended church every Sunday! This teen dad wanted to be in his baby’s life every day, and now he wakes up to her every morning, knowing that he will be a loving and supportive father to her. A few weeks ago he got his first job. And I’m so proud of him! He is working hard and getting a new start at life with his family. I know that the future will be bright for all three of them! Our Volunteers are a Blessing! Webster Dictionary defines “blessing” as – “the act or words of one that blesses”. YoungLives Committee members, Tom & Colleen Drew, welcome the volunteers! Last week the YoungLives Committee had the privilege of spending an evening humbly trying to thank all the many volunteers that fill in to make YoungLives not only operate, but to be the outreach of love, encouragement and FUN it is today. When I was asked to share with you a bit about the evening, I thought the best way to do that would be to tell you about these volunteers. SET UP & TEAR DOWN CREW: One of the newest teams added to the YL army are those that come early and stay late. They pop up tables & chairs, take out the trash, vacuum the crumbs and put the tables & chairs away – they move in and out like ninjas and we are so thankful to have them! GREETERS: Sign in sheets, name tags, pens, smiles, hugs and a warm “WELCOME, glad you’re here”. They meet the teens, the volunteers & families at the door pouring out love before anyone even steps into the club room. FOOD PREPPERS: The meals are planned, shopped for, prepared, carted in – piping hot, served with smiles, cleaned up and carted out. At times they have miraculously fed the multitudes with fishes and loaves and other times they box up the leftovers for the young moms to take home – We LOVE this crew! CHILDCARE CREW: We started this club year with a stomach flu bug that spread like wildfire through our childcare and yet, these folks were not afraid! They show up knowing they are entering the bewitching hour for babies – bottle time and bed time! And so beautifully and with such grace, they take in the babies to feed, rock, play, soothe, change, cuddle and love giving these teen parents a needed break from their little ones. GAMES & SKITS TEAM: A really sweet time of the club evenings happens just after the kids have been dropped off into childcare and the “teens” get to participate in some wacky little game or skit that gives them a few minutes “to just be kids”. Thanks to the Games & Skits team who is not afraid to embarrass themselves or the teens! PRAYER TEAM: Intercessory prayer is such a gift of the Spirit and knowing that the teens and their families as well as all the volunteers & supporters are being prayed for is HUGE. This ministry is dependent on God’s will and we thank the prayer team for praying into it! CRAFTERS: If you walk into this room during club night, you see the heart of YL in action. Girls and mentors all connecting with each other. Glitter & encouragement are sprinkled, glue and lives are bonding. Things get created in this room and it is/they are beautiful. DADDY MENTORS: When this YL club first started, the vision was to reach out to “teen moms”, but as we have watched the ministry unfold, God had plans to reach out to “teen PARENTS”. So, while the girls go off to the craft room, the guys also gather together.Thank you to the men that have reached out to these young guys in friendship, consistency and accountability. CLUB TALK: Being vulnerable, honest, willing. Sharing life and Biblical truth to a sometimes restless group – this is where the teens get to hear about the Lord. For some of them, it may be seeds planted, for others it has been the message that changed their life. – Thank you to ALL those that have taught and shared Christ with the teens during the Club Share portion of the evenings. MENTORS: They’ve paired up, driven countless miles after texting, waiting, loading car seats, bucking in and delivering. They’ve visited, tutored, polished nails, shopped, shared, listened to stories they never really thought they would have to hear. They’ve loved unconditionally, gone to camp, dried tears, baptized, cuddled babies, shown grace, shared Jesus by action and maybe by the Word. All this and more – mentors…you are amazing and without you, there is not a ministry! 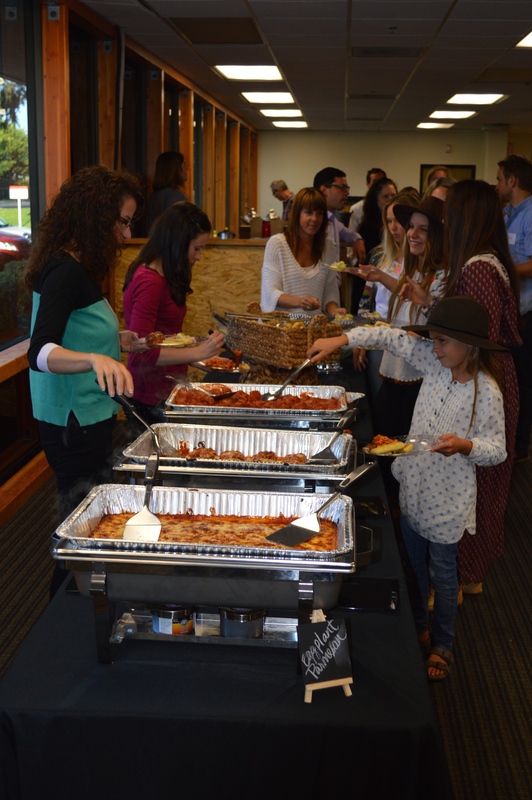 FUNDRAISERS: Banquet Dinners and Silent Auctions, Ice Cream sales, Pancake breakfasts and Craft Fairs, and so much more – they’ve given time, money, ingredients and endurance – all to keep YL going and to keep sending teens to camp! We are blessed by these folks! COMMITTEE: We’ve met, planned, budgeted and prayed over the ministry. Such a privilege to serve along side of such smart, energetic, Jesus loving people – Thank you Committee Members! SPOUSES, KIDS, PARENTS OF VOLUNTEERS: Thank you for sharing in the ministry by giving up your family members for volunteer time – also, for the times they have volunteered you to help out “just this once”! – Thank you! Volunteers had fun connecting with each other! OUR MINISTRY PARTNERS: Calvary Chapel Refuge, Mariners Church, First Christian Church, Templo Calvario, St Peter’s By-the-Sea and Rock Harbor – without them this YL club would not have had the opportunity to grow to what it is today – they have strengthened, encouraged and given so much. 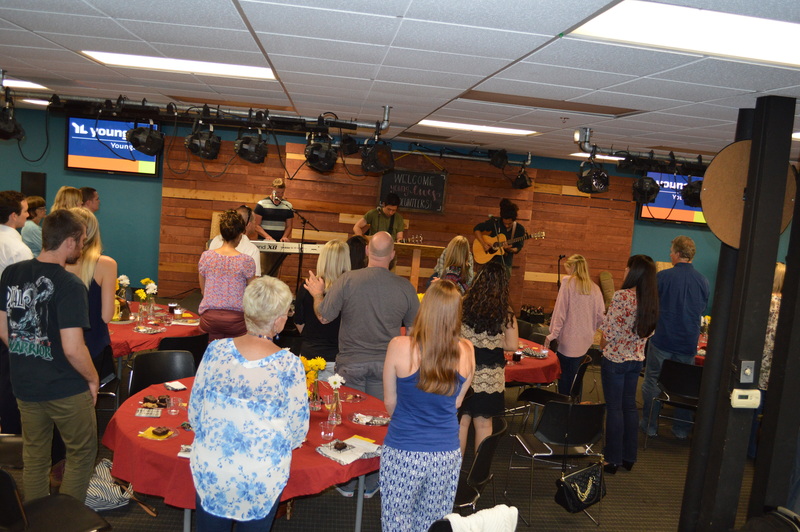 They pour out and into this ministry in quiet ways that are not always known publicly…we are humbled. During the evening, I refrained from calling out any names, many of the volunteers serve in many areas and whether it has been one event that they’ve have helped with OR they help every month, we want them to know – this ministry has been BLESSED by all the time and love given. But I couldn’t pass up the chance to acknowledge our Lord, Jesus Christ who gets ALL the glory in this ministry. We continuously pray for HIM to be the center of all we do. Without Him at the head, this is just a program of works that will not last. We look to Him for wisdom, discernment and strength. We stand amazed at what He has orchestrated and accomplished in the last three years and we thank HIM for what He continues to do in YoungLives. And finally – though they are almost like one name since they move in this ministry together – Myrna & Yousef. They have been a part of EVERY area of YL and daily continue to do so. I know that God is the center of their lives and marriage and that He reveals Himself through them by filling them with love, joy, peace, patience, kindness, goodness, faithfulness, gentleness and self-control. They have never desired man’s accolades for what they do. They give relentlessly, they love unconditionally. They stand firmly grounded in Christ and act according to His direction. They are never afraid of seeking out Godly wisdom from others and they are never afraid to state the TRUTH of God’s Word and lead with that as the backbone of their actions. Every YL teen KNOWS that they can call on them and… they do! We call on them as well. As much as we try to lift some of the responsibilities from them so they don’t get worn out, we cannot keep them out of the middle of most every situation that YL faces – they live and breathe this ministry 24/7. They are precious examples of servants of the Lord they serve – completely taken by Him and living for Him. – THANK YOU MYRNA AND YOUSEF!